Sand Island Treatment Center is an alcohol and drug rehabilitation center that provides treatment services to adults for substance abuse, mental health issues, and co-occurring disorders. The mission of Sand Island Treatment Center is to offer quality care and treatment services to individuals struggling with substance abuse and behavioral health disorders to help them heal and recover. The center operates under the Kline-Welsh Behavioral Health Foundation. For more than 5 decades, the center has been able to help thousands of individuals and families recover and reclaim their lives and relationships. The center offers inpatient, outpatient, and intensive outpatient treatment services to clients in a beautiful, private, and comfortable environment. The treatment programs are based on the 12 steps philosophy which helps in the healing of the mind, body, and spirit of every individual client. Each client is assigned an individualized treatment plan which is re-evaluated from time to time to assess the progress of each client. Clients are offered a number of historically-proven therapies including individual and group counseling sessions. Clients are also offered education on topics such as anger management, relapse prevention, life skills development, coping skills, and more. Through a highly structured and integrated treatment approach, clients are empowered to achieve lasting and sustained recovery. 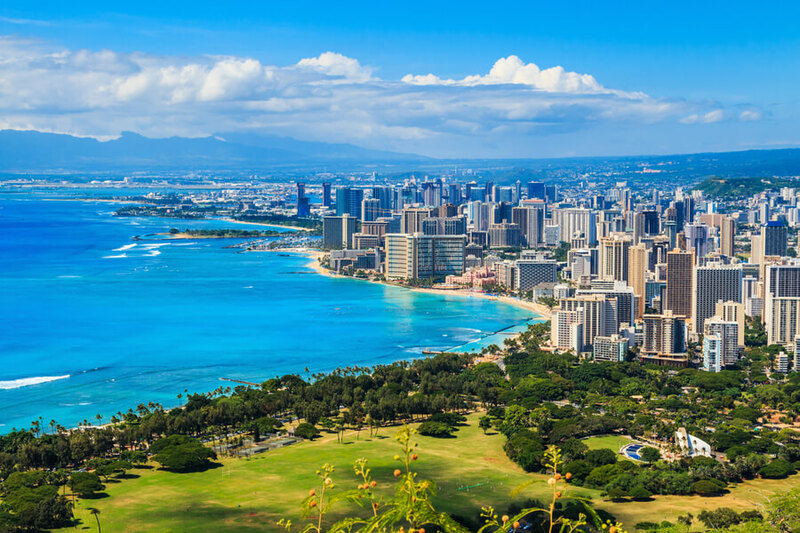 Sand Island Treatment Center is located on a beautiful campus in Honolulu, Hawaii. It comprises dorm-like complexes with separate wings for male and female patients. Clients stay in shared rooms with rooms having different capacity. Some rooms are shared between two clients whereas some rooms are shared among five, eight, or ten individuals. Rooms are furnished with twin beds or bunk beds, footlockers, and storage areas for residents. There are gender-specific communal bathrooms which are shared among all residents. On admission, clients are assigned to a room which they have to share with 9 other residents. With their progress in treatment, they are upgraded to less-occupancy rooms until finally, they are able to stay in double-occupancy rooms and have some privacy. There are common rooms provided for residents where they can socialize and relax during their free time. The center also encourages recreational and physical activities for residents in the form of indoor and outdoor activities. The center has an in-house chef who prepares healthy and nutritious meals for residents working in coordination with an in-house dietitian. Residents are offered three daily meals in the cafeteria. Special dietary restrictions of clients are also accommodated. All residents eat together in the dining hall. Sand Island Treatment Center offers individualized treatment to clients for substance abuse and behavioral health disorders. The treatment costs are different for each individual and depend on a number of factors. Clients with no insurance have to pay $6,000 for each of the first two months after which the cost becomes $3,000 for each month. However, if any client is unable to pay these costs, they are charged a sliding scale fee depending on their ability to pay. The center also accepts insurance plans of some insurance providers. The admissions office staff helps clients by providing them with all financial and insurance information. Sand Island Treatment Center offers treatment services to adults struggling with substance abuse and mental health issues and helps them heal and recover from their ordeal. The center provides a comfortable and nurturing environment for clients where they can restart their lives with new dedication and motivation. The center offers short-term and long-term residential treatment programs along with outpatient programs. The treatment programs are primarily based on the 12-step principles of Alcoholics Anonymous (AA). Residents are required to participate in daily 12-step meetings which are targeted towards the healing of their minds, bodies, and spirits. Other treatment therapies include individual and group therapy along with educational programs to develop life skills, relapse prevention skills, and emotional skills. Clients are empowered to leave their unhealthy behaviors and habits by adopting a healthier lifestyle. Hence, clients are able to achieve lasting recovery in an independent, productive, and fulfilling life. For almost 50 years, Sand Island Treatment Center has been providing hope and healing to individuals suffering from substance abuse, mental health issues, and co-occurring disorders. Their success can be attributed towards the dedicated and compassionate efforts of the staff members. The staff at the center comprises a multidisciplinary team of healthcare professionals who are experts in their respective fields. They treat each client with dignity, respect, and empathy to help them share their emotions and feelings with ease. They provide 24/7 quality care and services to clients in order to help them embark on the road to recovery and eventually achieve lasting recovery. The staff at the center comprises licensed professional counselors (LPCs), counselors, therapists, and nurses. The staff also includes a physician and a psychiatrist. Other staff members include support staff and administrative staff that provide services to make the residents’ stay at the facility as comfortable as possible.